How to start and finish an email in Portuguese. Last week I was devastated by learning about the tragedy in Haiti. To be honest, I read the common news very rarely and only when I cannot avoid it. But, I read the news when there are facts from which I can learn lessons for my life to become somehow a better person. Particularly in the last year, the news slammed us in the face with depression, people's revolt, decay, and a decadent and destructive world. I am not only talking about the financial world, but also unemployment, families destroyed, death, injustice, anger... How long can this list be? Sometimes I wonder how much better and appreciated a newspaper, a TV channel or a magazine would be if, instead of publishing bad news, they gave us reasons to smile. When we only see the negative aspects of people and life, we forget just how beautiful people and life are. When you get to know that tragedies happen, I believe you must consider yourself lucky, and grateful for being alive. Lucky for living one more day of joy, for being able to learn many things that could make life even more beautiful for yourself and, for many others as well. By realising that such tragedies happen you may want to let them fire in your heart, and hunger your soul. You may want to let them kill your laziness and fear, and step forward - to start getting things done! So let this tragedy give you hope for those in Haiti and start or carry on doing what you believe can bring some goodness to your world. In this case, let's face seriously this odyssey of learning Portuguese. Spend a good time of today setting a goal for yourself about how you can learn Portuguese quicker. Do the same tomorrow, and the day after. 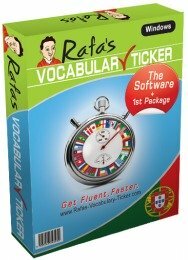 Day after day, and little by little, you'll reach a better level in your Portuguese learning process. Remember, don't waste the day of today, because sooner or later you will run out of time. So, if you haven't started yet, start now! Today, this newsletter will help you to know how to start and finish an email in Portuguese. Next time you write to your friends, family, and loved ones, why don't you, at least, start and finish your email in Portuguese? They will notice your motivation in learning this language and perhaps, the motivation they see in yourself is the kick they need to start doing something they always really wanted to do, but, for some reason, they haven't done so, so far. Anyway, the way you write emails in Portuguese is pretty much the same in all Lusophone countries - and I mean, all Portuguese speaking countries. When you write an email in Portuguese, you need to take into account three levels of formality. 1. Informal (messages to your friends, lovers, partners and close members of your family). 2. Semi-formal (messages to your work colleagues or someone older than you). 3. Formal (someone you want to contact for the first time, or someone with a high position in your company or another institution). You have also to take into account if you are writing to a male or female, and the degree of education they have. 1. Informal - The way you greet or say goodbye to someone in an email is basically the same as when you see them. Olá então, espero que tudo esteja bem? Um abraço (between 2 males) - this literally means "a hug", but in fact it is felt like "Regards", so don't be afraid of using it, even if you are a bit reserved. 3. Formal - Only in writing. Ex.Ma Senhora Embaixadora + with or without first and last name. Sem mais de momento, subscrevo-me. Com os melhores cumprimentos. So, because today is a day for celebrating your vision of life and your potential as a human being as a future completely fluent Portuguese speaker, enjoy your day and start living how it feels being a completely successful Portuguese speaker. PS 2: also, if you are going to tell your friends ONE PIECE OF ADVICE you learned from me which has helped you to speak Portuguese... What would that be? Let me know in your email!